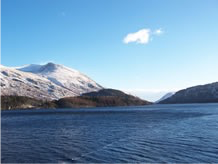 We hope you find this page is a useful aid in finding our Accommodation in St John's-in-the-Vale near Keswick, the Lake District. 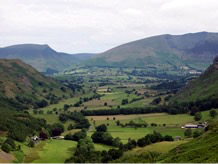 Penrith 18 miles, then bus to Threlkeld and a 3 mile walk. Windermere 18 miles, then a bus to Thirlmere Dam road end and a 1 mile walk along a lovely wooded footpath. Local taxi firms are most obliging and if there are more than a couple of you travelling it is often cheaper to get a taxi than a bus. 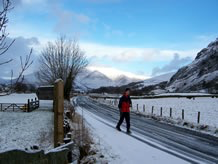 Keswick is some six miles away from Low Bridge End Farm offering a full range of shops, pubs and restaurants. 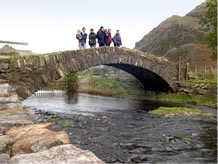 It is the centre for a wide range of outdoor activities such as walking, rambling, pony trekking, cycling and mountain biking. 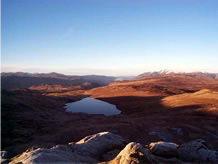 Rock climbing, orienteering, water sports and sailing are readily available while for the more adventurous, ice climbing and skiing are to hand when weather conditions permit. In winter it also offers indoor activities including a leisure pool, a climbing wall, a cinema, theatre and several museums. 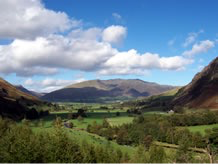 Three of Lakeland's highest peaks are easily accessible from the farm; Helvellyn, Skiddaw and Blencathra. Many of the lower fells offer equally stunning views and lakeside walks allow a gentler ramble where you may even spy the ospreys.